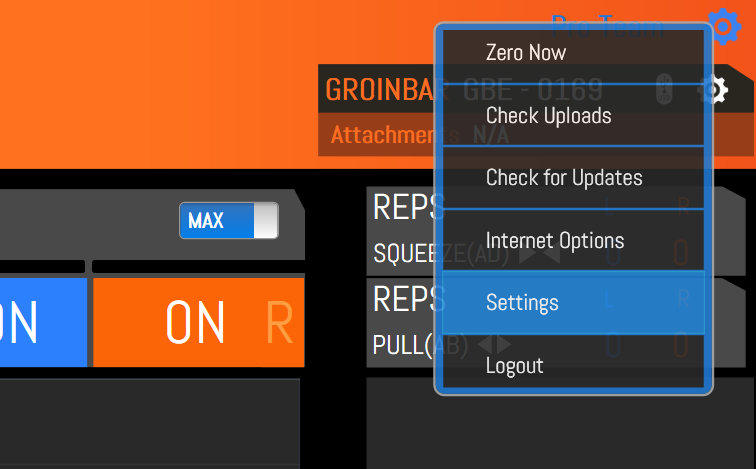 ScoreBord uses thresholds to detect when a rep is performed, as well as to detect when Impulse should be recorded. 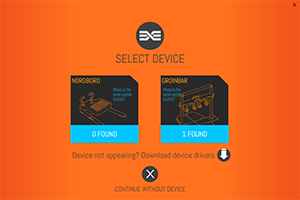 These thresholds allow it to perform real-time analysis as each rep is completed. 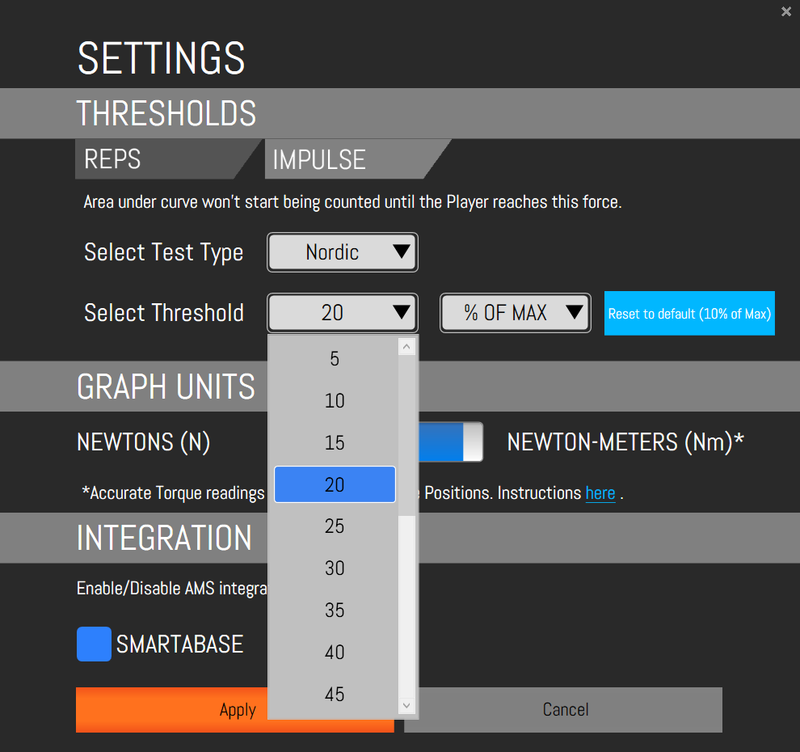 Example: the default Rep Threshold for a NordBord Nordic test is 150N, so when the force of both legs goes above 150N, ScoreBord detects that a rep has started, and begins looking for a peak. Example: the default Impulse Threshold is 10% of MAX, so once a MAX score is detected in a test, ScoreBord tracks back over the test data to calculate impulse whenever force was above 10% of the MAX score. These thresholds can be adjusted in ScoreBord (Windows) as follows. 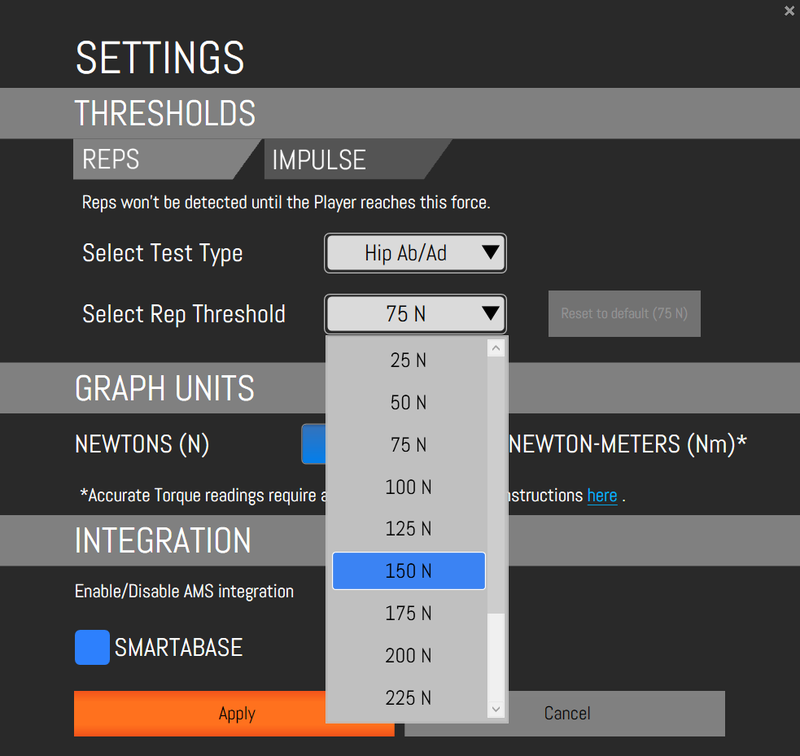 To adjust Rep Thresholds, select the test type you wish to update, then change the threshold to the desired value. Click APPLY to save your changes. Note: rep thresholds can be set from 25N to 300N, in 25N increments. To adjust Impulse Thresholds, select the test type you wish to update, then change the threshold to the desired value. Click APPLY to save your changes. Note: Impulse thresholds can be set in absolute values (N) or in relative values (% of MAX). Absolute thresholds can be set from 25N to 600N, in 25N increments, and relative thresholds can be set from 5% to 95% of MAX, in 5% increments.